Create opportunities by targeting banks and credit unions with a hunter mentality. 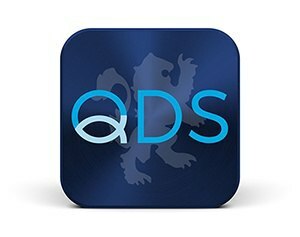 If you have the background and integrity we require and are looking for a challenging opportunity, please consider an opportunity with QDS. We provide a competitive salary, medical, dental, vision and life insurance plans. In addition, we offer a 401(k) plan with company match. If you are interested and meet the requirements for this position, please apply. Moderate physical activity. Requires handling of average-weight objects up to 60 pounds or standing and/or walking for more than two (2) hours per day. Little or very limited exposure to physical risk. The content in this document is intended to describe the general content of and requirements for the performance of this job. It is not to be construed as an exhaustive statement of essential functions, responsibilities or requirements.